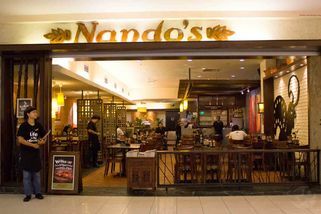 Nando’s, the well-known South African casual dining restaurant, is specialized in serving chicken dishes with 5 types of marinades namely lemon and herb, medium, hot, extra hot and extra extra hot to give diversity to the taste of the chicken according to one’s preference. Famous for its flame-grilled, never fried, Peri-Peri Chicken, Nando’s serves burgers, pitas, salads, wings and wraps, that give the extra edge and variance on how the chicken can be served. Should like typical chicken wings to bring your meal up a notch, you may try its Wing Roulette consists of 9 chicken wings, up for grabs. 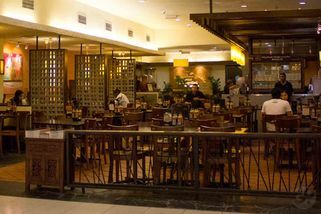 Great place for casual dining with families and friends, Nando’s is also a good choice for health-conscious folks who want well-balanced meals to go along with their diets. "The Boneless Chicken breast is good..."